The World Athletics Championships are on! … no? Any excitement here? Never mind. Though not the most popular sport, there are a number of life lessons to be learned from the life of an athlete. I myself have been deeply involved in athletics for a number of years – at one point internationally. I’m sure that athletes, or indeed other sports men would agree with me that the self-motivation, competitive edge and focus follows you to other areas of life. You want to achieve, and you want to be the best! When most people think athletics these days, their mind goes to Usain Bolt – the fastest man over 100m ever. In fact, there is a great blog post by an entrepreneur friend of mine, Sibel Suleyman, called The Startup Mindset using the phases of a 100m race to illustrate it. …actually, that’s exactly what I’m going to do. But from a slightly different angle. It’s how life differs from athletics. You are competing against yourself for the gold. Tell me, who won the bronze medal in the 100m at the last World Championships (2013)? Yeah, that’s what I thought. 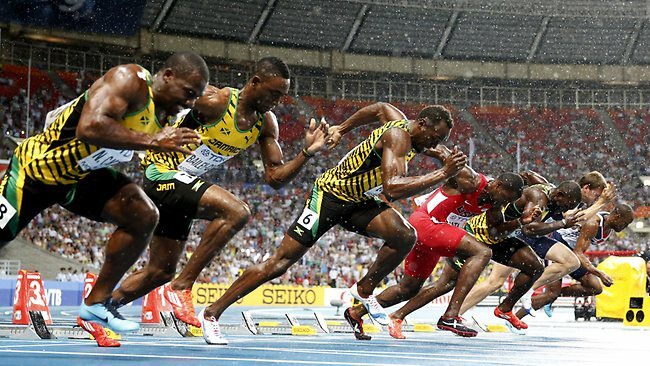 You were busy seeing who would win out of Usain Bolt and Justin Gatlin. Even those who follow athletics will have a hard time remembering this. You can strive to be the best at whatever you are passionate about – whether it be cooking, blogging, teaching, creating, keeping fit, or even programming – and succeed when applying the same discipline athletes apply. We can all get the medal because there is not just one winner. We have our personal journeys, our own hurdles to overcome, our own distances to clear. You get to decide what your gold medal is. Have you decided yours? How’s the training going?